Happy 2nd Birthday Wannabe Wino! Wannabe Wino is two years old today! Two years ago, November 12 was a Saturday. 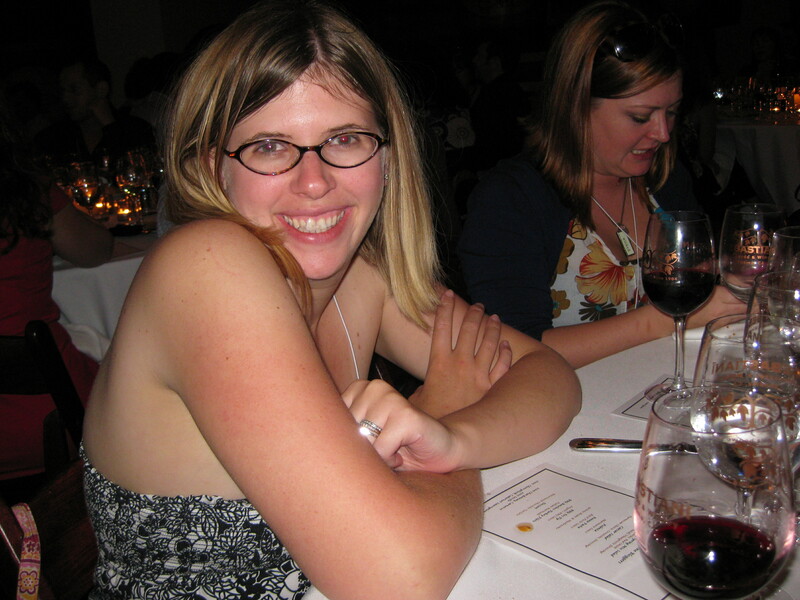 It was the day I clicked “Publish” and launched my wine blog, Wannabe Wino. And now, it has its own home and a new host, and an “all grown up” look. I never thought people would read. And I really never thought people would read and come back. But somehow, they did, and you still do. It’s why I’m still here, plugging away behind my 12 inch Mac screen. This year, the wine blog has brought much fun to my life, most recently with me attending the first ever Wine Blogger Conference, an event I certainly look forward to attending every year from here out. I’ve now met some of the wonderful wine people I’ve been interacting with for two years, and had the opportunity to get to know them off line. I’ve had the chance to go to so many wineries and taste so many wines I would have never known about without the blog, and to share those experiences with you. So thanks to all of you who read and comment, those who encourage me and those who challenge me. Thanks to all of you, here I am, nearly 700 posts later after that very first Saturday. Cheers, and here’s to the Terrible Twos! *Disclaimer: I received this wine as a sample from Bottlenotes. Our host for this month’s edition of WBW is Joe of 1WineDude. He’s set us to the task of picking out a baked wine to drink and report on today. By baked wine, he meant a wine that was purposefully oxidized, like a Maidera or a Tokay. Lucky for me, he expanded his definition and allowed us to pick any fortified wine as well. Meaning, I had an excuse to use one of the Ports that has been collecting dust in my basement! You can read all the details of this 51st edition of WBW here. I drank this with Loweeel on election night, and by that point in the evening, definitely did not remember to whip out the camera, so all I have for you are pictures of the bottle. 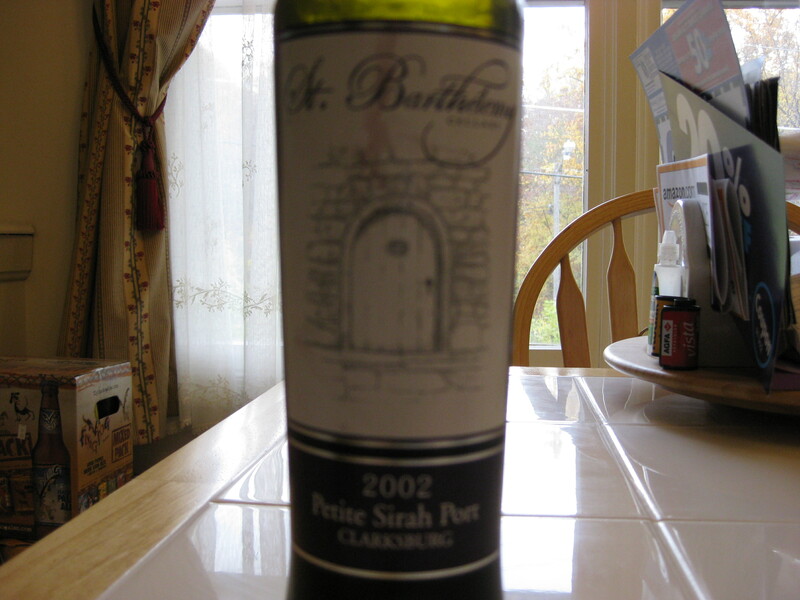 I chose the 2002 St. Barthélemy Cellars Petite Sirah Port from Clarksburg. I received this wine as a sample from Bottlenotes about a year ago, it came in a 375mL size bottle, had a real cork closure, clocked in at 18.5% alcohol by volume, and can be purchased from Bottlenotes for $20. St. Barthélemy Cellars is a small family operated winery in Napa, and from what I can gather, they only appear to produce small lot Port-style wines, each from a single grape variety. 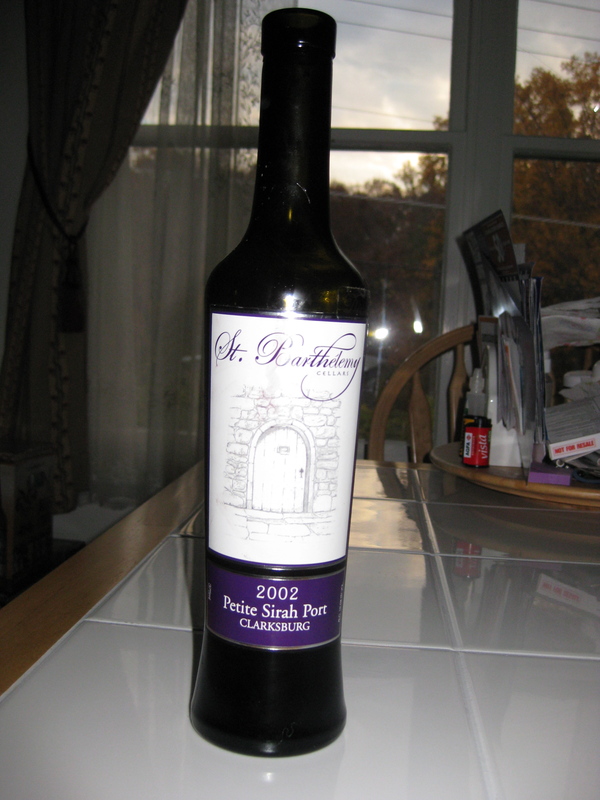 The Petite Sirah Port was a batch of 250 cases. On the nose of the Port, I found burnt blueberries. I do not mean this in a bad way at all, but it smelled quite a bit like a blueberry pie that you left in the oven for just a few too many minutes. Other aromas came through as chocolate, wild berries, brown sugar, caramel, toast, and vanilla. Trust me, the wine smelled fabulous….like many of my favorite desserts all wrapped into one. In the mouth I found flavors of blueberry, raspberry, dark black fruit, spice, mocha, vanilla, caramelized pie topping, baking spice, and blackberries. Overall, I would love to pour this Port over a bowl of homemade french vanilla ice cream. And actually, in and of itself, you wouldn’t need much more for dessert than a glass of this, as it was a dessert all by itself….it even tasted and smelled like lots of good desserts rolled into one thick, yummy drink. Many thanks to Joe for hosting this month’s edition of WBW. And thanks for finally kicking me hard enough to actually open up one of the Ports that’s hanging around in my basement….though maybe that’s another WBW right there…Any Port in the Storm! As always, kudos to Lenn of Lenndevours, our founding father!